berlin is a city that was strongly shaped by jewish traditions. germans destroyed those traditions. from among the many sites and buildings that were important for jewish life in berlin - the first synagogue on heidereutergasse and the first cemetery on große hamburger strasse - only small traces remain. this tour gives an overview of jewish history in berlin. we will walk from one of the oldest streets of the city - jüdenstrasse - to the synagogue in oranienburger strasse. on our tour you will see places and buildings that tell the history of the jewish community in berlin from the middle ages up to the present. the human beings who were murdered or expelled cannot come back to life, except in our memory. 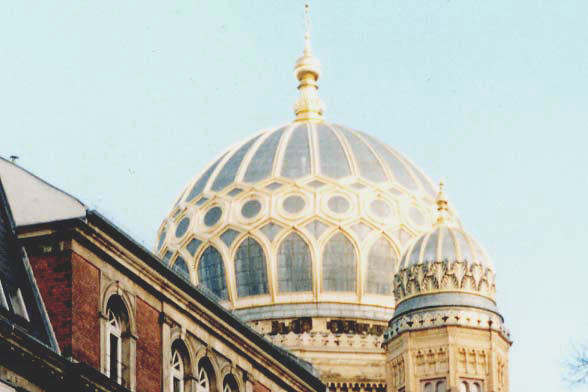 if you are interested in a survey of jewish history in germany, this basic tour provided by unwrapping history is the one to choose. meeting place and length of tour: the meeting place for this tour is the exit at the rapid transit (s-bahn) station hackescher markt. the tour lasts approximately 2 1/2 hours. prices and booking: you pay 15 euros per person and tour. simply book by e-mail and you will immediately receive a message in reply.